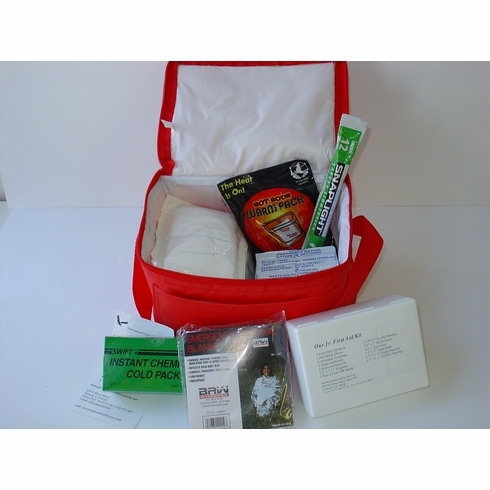 Contains emergency food (2400 calorie food bar), drinking water (6 servings), emergency solar blanket, body warmer, light-stick, hygiene supplies, first aid supplies, notepad with pencil and whistle. Packaged in a padded nylon carrying case. All kits can be custom made to fit your needs.